For those unfamiliar with Google Now, it is the application that uses your past searches to put up cards based on the information it determines that you need to know, when you need to know it. For example, you might have used Google Navigation to get to your new job and the next day a card will pop up showing you how many minutes your commute will be that morning, along with a link to open the Navigation app. If you Googled the stock price of Lululemon, you will receive frequent updates on the stock during the day. Google Now is included on Android 4.1 or higher. A published report says that based on the application's code found after the latest update, new cards might be coming to use information pulled from a Gmail account. For example, let's say that you've received confirmation in your Gmail box about a rental car you have arranged for. The reservation will show up on a Google Now card that will show the booking or reservation number, and the pick up and return date, time and location for the car. Once you pick up the car, a Google Now card will help you navigate, manage your reservation or get directions. When you are returning the rental, the card will lead you to the nearest gas stations. 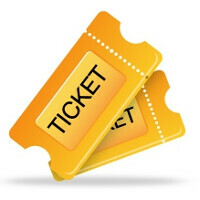 A Google Now card might also soon double as a ticket to an event. Got ducats to see JB? (Do we really have to spell out who that is?) As the time gets closer to the event, you will get a card with a QR code representing the ticket, and information such as the time when the doors open, a seating chart and the name of the venue. Tickets to a sporting event could result in a card showing team stats and standings. And event cards will have options for navigation to the event. The code also shows information pertaining to a Google loyalty card which could pave the way for a future mobile payment feature done without NFC. This could be something along the lines of a Passbook for Android.